Spoilers for Dragon Ball Super episode 105 follow! 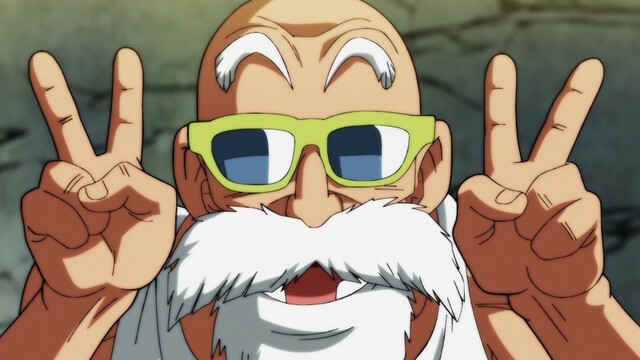 When you think about Dragon Ball's Muten Roshi-sama—AKA Master Roshi, the Turtle Hermit, Kame-Sennin, or whatever you've grown up calling him personally—you probably think about "pichi-pichi gals," or nosebleeds, or any other manner of perverted musings. 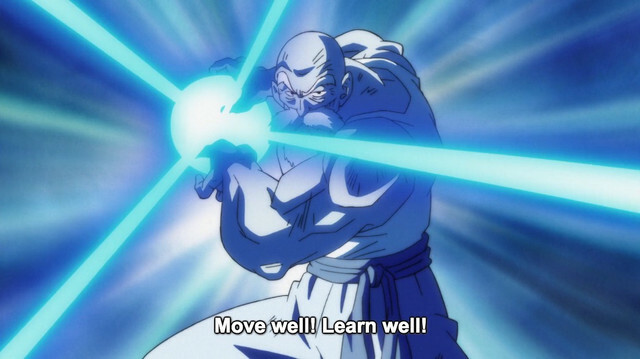 If you've been following Akira Toriyama's series from the beginning, though, you also think about one of the strongest martial artists, and best teachers, of all time. 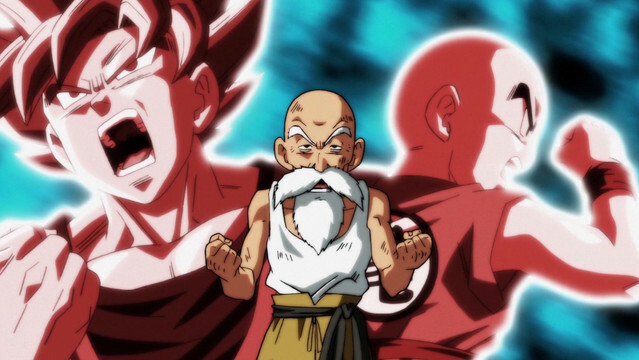 In the original Dragon Ball manga, Roshi went to extreme lengths to teach Goku and Krillin how to better themselves, and it all came to an impressively emotional head in episode 105 of Dragon Ball Super. 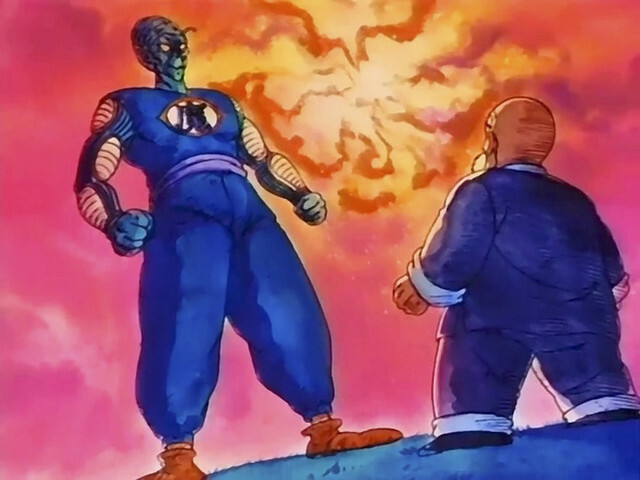 While we're smack dab in the middle of Super's high-stakes Tournament of Power arc, there's no better time to look back at Toriyama's original tournament scenarios. The Tenka'ichi Budōkai, or World Martial Arts Tournament, first kicked off in chapter 34 of Dragon Ball, way back in July of 1985, and was adapted in the anime starting with episode 20. While Goku seemed like a pudgy, non-threatening child at the time, none of his opponents could possibly predict how powerful he actually was. 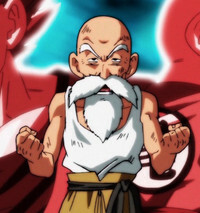 Muten Roshi put both him and Krillin through the wringer as far as training was concerned, from moving colossal rocks to transporting milk jugs and performing the type of farm work typically reserved for heavy-duty machinery. 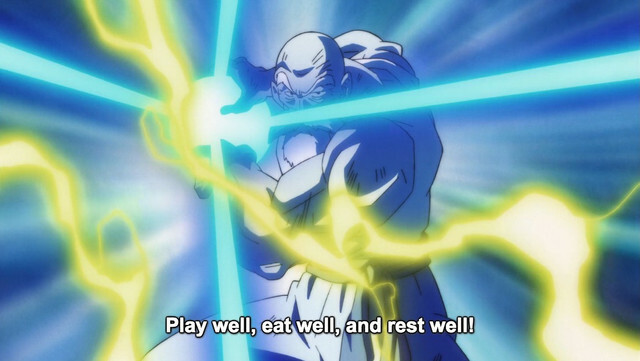 But the true lesson Roshi bestowed upon our squat little heroes would come closer to the end of the tournament. 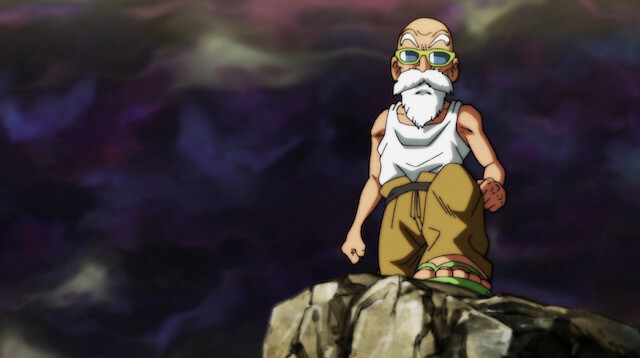 Under the not-so-subtle guise of a contestant named Jackie Chun, Roshi entered the arena himself, going up against a hodge-podge of enemies while attempting to divert any suspicion that he may, in fact, be the invincible master himself. I mean, seriously, who could possibly get these two mixed up?! While one might initially suspect Roshi's intention was to prove he can beat up his own students—or maybe just find some roundabout way to get Bulma to give him a cheeky peek at something—his deceptive plan had a much more potent purpose behind it. After all, if he just wanted to wallop Goku and Krillin he could have entered under his own identity. 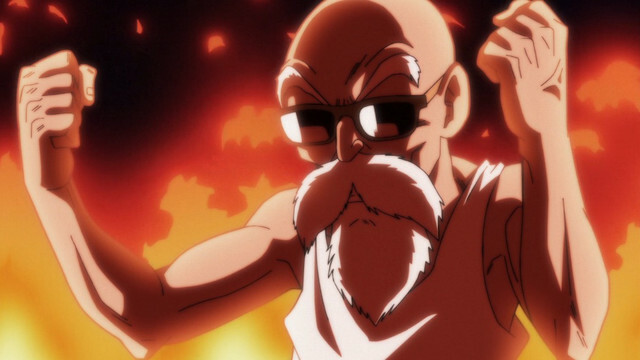 Instead, Roshi wanted to show these young, incredibly bright and powerful students that, no matter how strong they get, there will always be a bigger challenge on the horizon. Rather than letting this tournament go to their heads, he wanted to show just how dangerous the world is, encouraging them to work harder and bounce back from defeat. 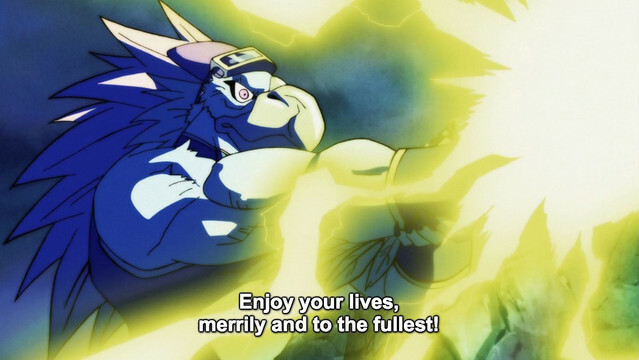 In case you couldn't tell from the hundreds of planet-leveling and evil-defeating episodes that followed, it worked. 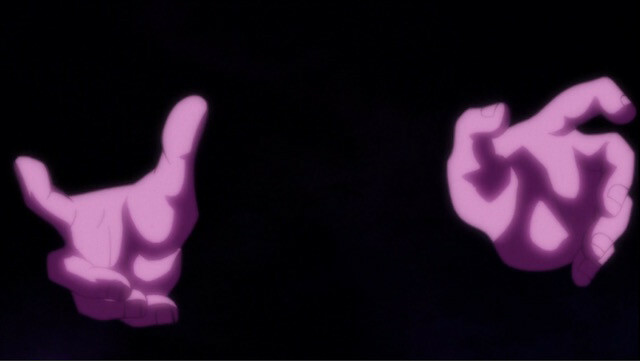 Thanks to Roshi's clever means of instruction and encouragement, Goku was eventually able to stand up against the first true world-dominating threat of the series, the mighty Piccolo. 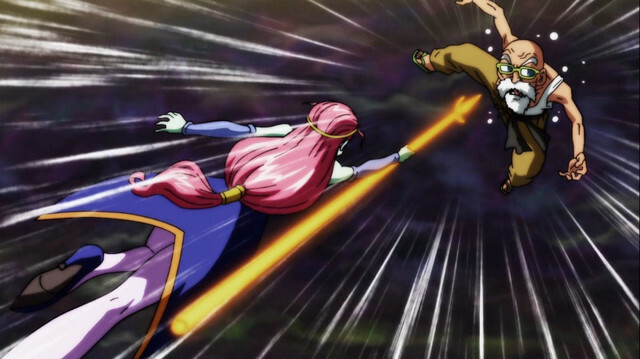 These and other lessons came flooding back in Dragon Ball Super episode 105, "A Desperate Battle! Master Roshi's Sacrifice!!" While it seemed as if Roshi was on a roll in this one—handily taking down Universe 4 warrior Caway, despite the fact that she briefly managed to break through his supposedly newfound willpower against seduction—the situation turned dire rather quickly. 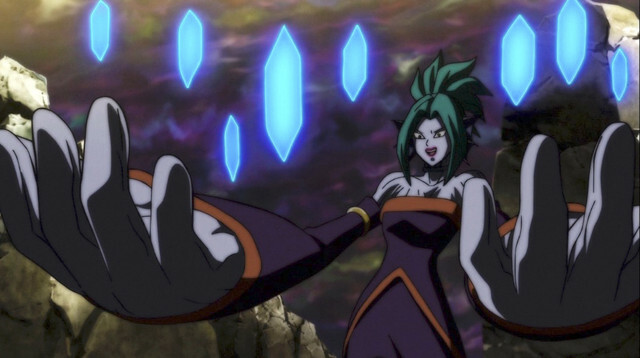 His second opponent, also hailing from Universe 4, was talisman user Dercori. She proved to be a more formidable foe thanks to her illusory powers, which had an immediate impact on Roshi's ability to fight effectively. 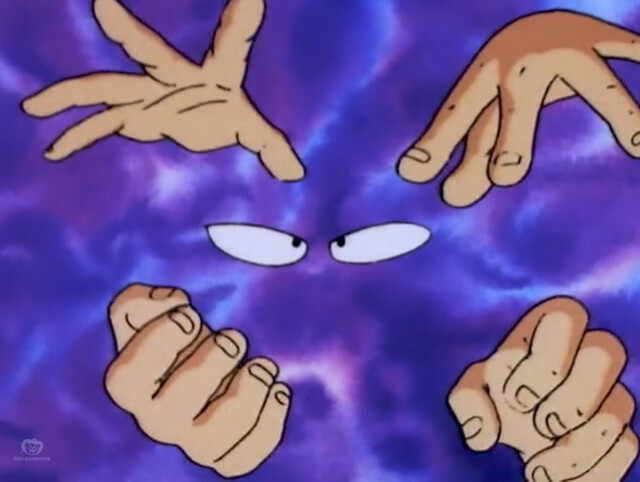 A victory pretty much seemed in the bag for Dercori when she used Roshi's own shadow to lock him in place like a far-flung alien version of the Nara Clan's Shadow Imitation Technique. That's when Roshi reached way back into his Dragon Ball bag of tricks to bust out the legendary Mafūba, or Evil Containment Wave, which was first used to trap King Piccolo in a rice cooker. 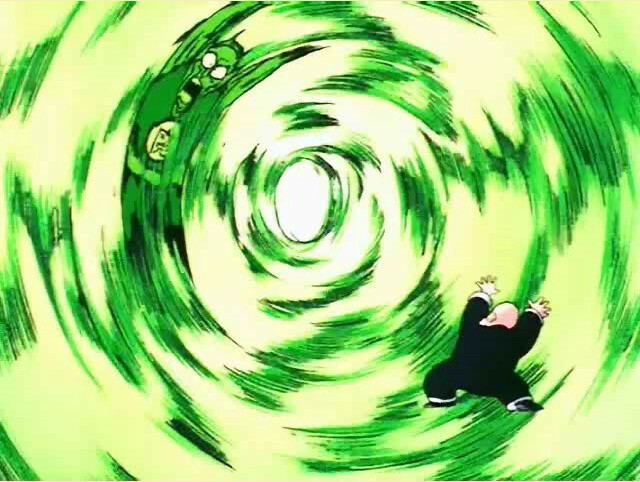 The second time he attempted to use the move on King Piccolo… he died! Such is the power of this containment technique, for those wondering why Krillin was so concerned when he attempted the same against Dercori. This isn't the only time the Mafūba has reared its head in Super. 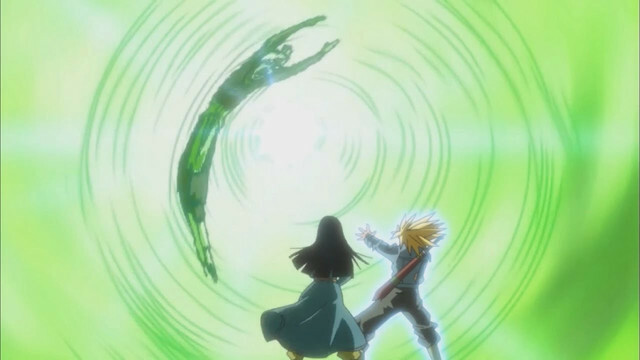 It seems like a decade ago that we were dealing with the fearsome Zamasu, but Future Trunks eventually managed to use the move against him in episode 64, however temporary the solution may have been. As taxing as this may have been on Roshi, he managed to move on to fight his third opponent of the day after going 2-0 in the tourney. And, as if to smooth out Krillin's furrowed brow in one fell swoop, he showed just how fresh he was feelin' after that bottle-poppin' Mafūba. Unfortunately, his next opponent was another Universe 4 bruiser, and he wasn't happy at all about watching his two friends face defeat. 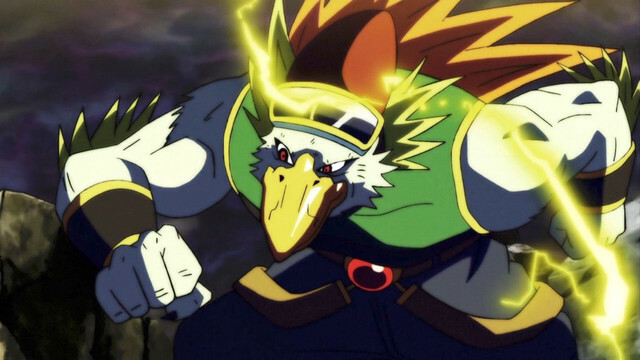 Yes, it's true, Ganos looks like a 'roided-up reject from Duckburg when he transforms, but he's also one of those enemies who gets progressively stronger as the clock ticks away. As predictable as his moves were, Ganos ultimately pushed Roshi to the edge, nearly pummeling him to dust before forcing him to bust some of his most fearsome moves. Roshi even tried to put Ganos to sleep through hypnosis, another throwback to the original series, but we know that only really works on Goku. When the time came to use the ultimate Kamehama, the legendary blast appeared to be his final undoing. Despite a clear victory that shot Ganos straight into the stratosphere, Roshi collapsed shortly after. The moment prior, however, gave him plenty of time to call out to his former students, encouraging them once more, and even echoing the lessons he learned from them in turn. "You two are the ones who taught me that this old man still has a future and it's too early to decide my limits," he said with pure determination. "You're the ones who taught me that by continuing to aim for higher heights." 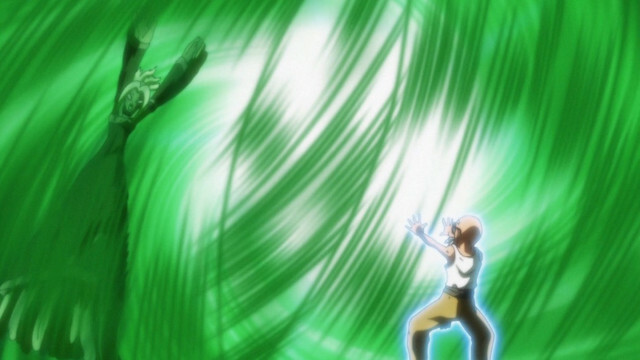 They were able to do that, of course, because of the lasting lesson Roshi taught them as Jackie Chun. 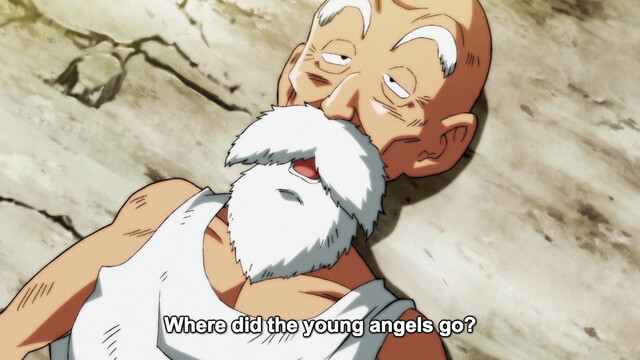 Roshi didn't die, of course. Major characters rarely die in the Dragon Ball universe, and when they do we know there's a good chance we'll see them again one day. It might have been a powerful death for the character otherwise, but it'll take more than a strong-stronger-strongest clod like Ganos to spell the end of the Turtle Hermit. His sacrifice remains just that, though; a fitting tribute to his legacy in Toriyama's long-running series. 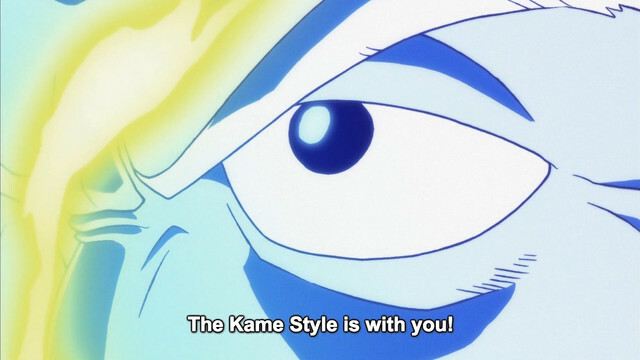 Just as he once did under the shroud of Jackie Chun, Roshi pushed himself beyond his limit to protect Goku, Krillin, and the rest of the Universe 7 team (yes, even Freeza, I suppose). He knew an enemy that gets more powerful by the second would end up proving a potentially unstoppable force at some point, so he took him out by any means necessary. 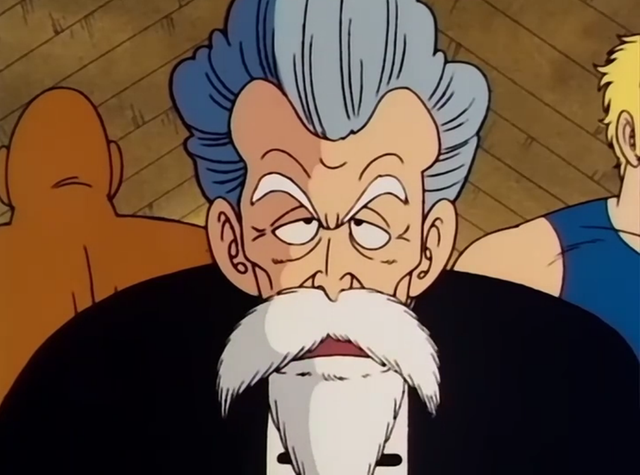 Muten Roshi: For that, and for the decades of dedicated teaching that somehow even manage to overshadow your legendarily lecherous livelihood, we salute you!